A merchant cash advance is the revolutionary financial aid that is steering several small businesses away from traditional financial institutions and credit unions. A merchant cash advance loan is designed to monitor your daily credit card transactions to aid your loan repayment at a rate that is suitable for your business. The goodness of obtaining this kind of business financing is in the easiness and simplicity. You do not have to wait for long for them to respond. This type of business financing is a simple online application whereby you will provide some basic information concerning your business. The entire process will just take a few minutes, and you could have a verdict made on your business financing the same day. 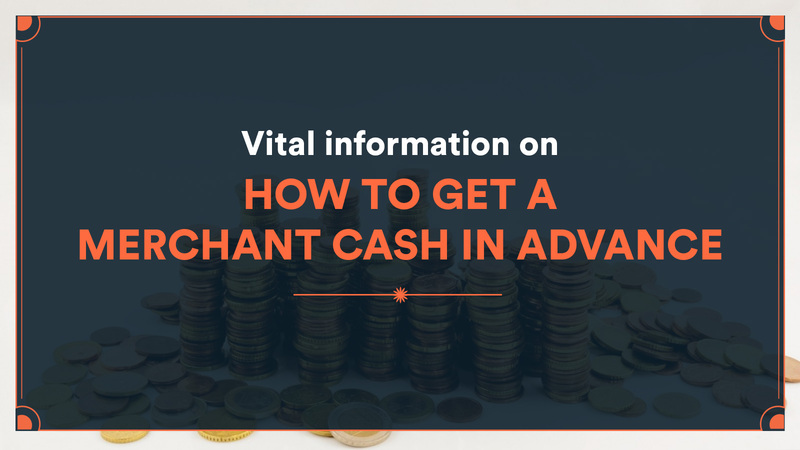 It is evident that almost 98 percent of merchant cash advance applications are approved, and for that reason, the probability of success is very high. Contradictory to what a conventional bank will offer, the odds in a merchant cash advance tend to favor you. Financial institution lenders tend to be more restrained and dismissive when lending to new business while a merchant advance provides loans to startups so that they can become key players in the market. Note that you can apply for a merchant cash advance loan irrespective of your business size or shape. You can either be opening your business, and you don’t have any working experience in your preferred industry or you are just operating a well-recognized business. It is evident that this financing has helped many businesses to be more successful. Small business enterprise can as well benefit from a merchant cash loan. The acquired funds can be used to help business owners during a slow sales season or can be used in covering stock or inventory shortages. Also, a merchant cash advance comes in handy when a large business needs to make significant purchases that need additional capital. Also, it can be used as an emergency fund during hard times. For you to qualify for a merchant loan, your business must be in operation for at least six months. Hence, you don’t have to panic if you just established your business since a merchant cash advance loan can help you boost your coffers and get the working capital you need. For you to get this type of business funding, your business must be accepting credit card payments. This is because the merchant cash advance calculations are based on your credit card transactions. The monitoring of credit card transactions helps the loan providers to determine the amount of loan your business can get. This also helps in making your loan repayment flexible. A traditional back will require a personal credit history to ascertain if you are eligible for a loan. Banks must also ask for collateral to make sure their investment is safe. If you are a small business owner and you don’t want to risk your assets, the probability of getting a bank loan is almost zero. Nevertheless, since a merchant cash advance loan is based on recent credit card payments, regardless of how bad your credit score is, getting a business financing to enhance your working capital is accessible.